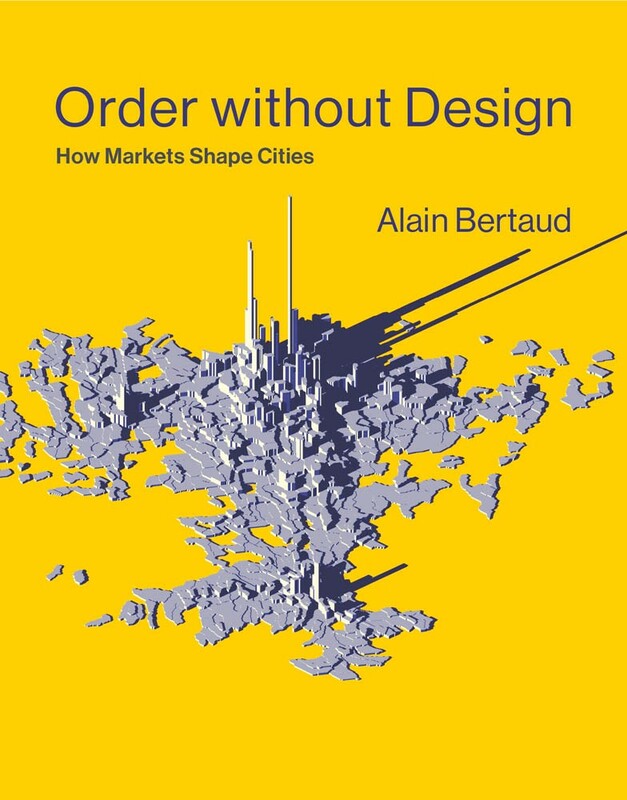 That Alain Bertaud proclaims himself an “Urbanist,” staunchly refusing the title of “Urban Planner,” should come to no surprise after reading his latest tome Order Without Design: How Markets Shape Cities. In it, Bertaud calls into question the traditional role of a planner, which, as he points out, often results in harm to cities through over-planning. If it is not sophisticated plans, tediously drawn up by urban planners, that determine the shape of cities, what is it then? As Bertaud thoroughly demonstrates in the book, it is markets that are truly responsible for how a city is formed and how it functions. The book is broken into eight chapters that explore themes such as Affordability, Mobility, Alternative Urban Shapes and Utopias. But, throughout them all, its aim is to look at cities both through the lens of the urban planner as well as the economist. 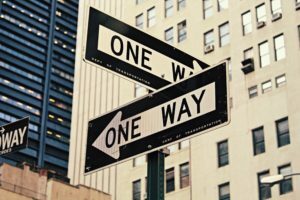 He points out that while urban planners are the practitioners, or technicians, in the realm of city design, economists are actually a necessary part of the decision making. It’s the economists, after all, who better understand markets. Bertaud illustrates, very visually, how markets physically shape cities by demonstrating how tall buildings in central business districts are perfect manifestations of market forces. Despite the additional expense of constructing extremely tall buildings, as land prices reach a peak, so must the height of our cities’ buildings. An image of Shanghai’s business district Pudong also aptly demonstrates how buildings reach heights of creativity through competitiveness in building design. Yet another example of supply and demand at work. 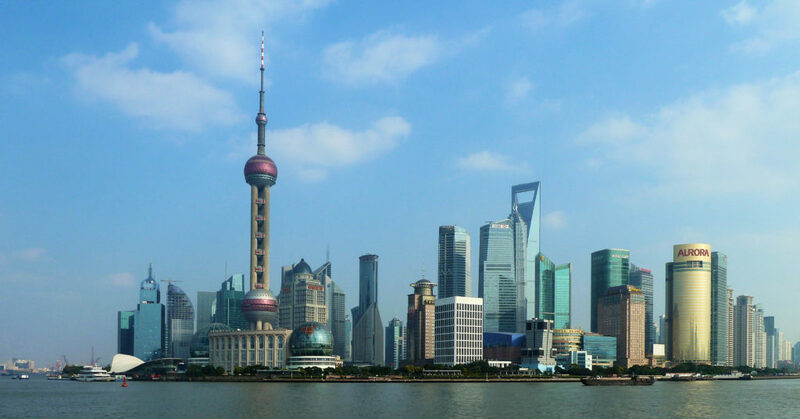 The creative skyline of Pudong, Shanghai’s business center, is a result of market forces. While it’s difficult to point to an example of an entirely master planned city, Bertaud contrasts experimental cities that at one point had master planning in their scope with locations that have evolved more naturally over time. He compares places like Brasília in Brazil, famously planned by Lúcio Costa with buildings designed by Oscar Niemeyer, and Chandigarh in India, planned by Le Corbusier, with the organic urban sprawl of cities like Mumbai and Shanghai. By examining the highly-designed cities, it’s easy to see how over-planning leads to repetitiveness in the landscape as well as inefficiencies in operations. For example, in the 1950s, Chinese city planners mathematically calculated building spacing and heights with the goal of achieving minimum light requirements. The plan was for at least one bedroom in every apartment to have a minimum of one hour of sunlight on the shortest day of the year, the winter solstice. While seemingly a great step forward for humane living standards, this absurd metric had an unforeseen implication — that building height and spacing should be based, in part, on a city’s degree of latitude, which would of course impact the angle of sunlight at different times during the year. Without realizing it, Chinese planners had implemented a new universal building code that essentially implied that building densities should be higher in a lower latitude place like Phoenix than in higher latitude locations like New York City. This case is just one of the many unplanned-for implications of master planning. Perhaps it’s a surprise then that Bertaud himself was a one-time modernist. Indeed, taking some time off from his Beaux-Arts architecture studies, he once hitchhiked all the way from Paris to Chandigarh, where the founding father of Modernism, Le Corbusier, was working on a legendary master planned city, to be completed in 1951. Le Corbusier’s driving thesis at the time, as Bertaud dreamily remembers, was that “design can solve every city issue.” But it was precisely during this exotic city planning experience that Bertaud began to see cracks in the theory. But it was in the slums where Bertaud found that life ran more smoothly. It was there that supply and demand took over to shape the city. It was where local inhabitants determined how many, and what types of, businesses were required for the city’s operations. Barbers, garment suppliers, tailors, food markets, you name it — it was to the slums that Bertaud would retreat in order to sustain his life in Chandigarh. After that point, Bertaud took a different spin on his trade. “At the end of the day, Modernist design is just an aesthetic preference,” he proclaimed during my recent interview with him, while bringing up an extremely vivid example, once again from Le Corbusier. “Le Corbu liked the ramp,” he says. He incorporated it into many designs, including the iconic Villa Savoye in France and, as Bertaud points out, he “rationalized his designs.” But, in reality, as was the case with buildings like the Secretariat Building in Chandigarh, the ramps were built after the buildings, and not necessitated in any way. “So, totally fake,” as Bertaud noted. In the book, Bertaud is staunch in his belief that the loyalty of the urban planner should be not to the physical form of our cities, but rather to the efficiency of them. He outlines three major tenets of an efficient city: firms and households must have the freedom to stay put or to migrate at will; travel within the city must remain fast and cheap; real estate must be sufficiently affordable that it does not distort the allocation of labor. Two out of the three of those tenets center on mobility. Indeed, Bertaud dedicates an entire chapter to the topic, and perhaps not surprisingly, our conversation naturally took this course as well. He pointed out that, despite many other beneficial aspects of cities, their major functions are as labor markets. Without efficient mobility, people are not even able to get to their jobs, let alone move frequently between jobs to keep the job market humming. Throughout the course of his career, Bertaud has often been asked to review city plans; he says that a common theme he sees is a mapping of housing over jobs with the aim of arriving at perfect mobility. But this is not sustainable and does not solve the problem. After all, the job market is constantly fluctuating. Entire industries die out and new ones are formed continuously. Instead, the answer lies in rapid and efficient transportation. He points to a 450 kilometer-per-hour train that’s been operating in Shanghai for some 15 years and looks forward to a future where such — currently still overly-expensive — technology will be streamlined for regular commuter usage. Or a fleet of modern rickshaw-like mini-busses that take you directly to your door at the end of a workday, which are being test-run in the suburbs of Tokyo. He insists planners should be more focused on solutions like these. Impact of self-driving cars on urban real estate. On the topic of mobility, Bertaud had some extremely provocative ideas on the impact of self-driving cars on the shape of our cities. In an elegant graphic, he demonstrates how, as the average speed of vehicles increases — since they are not held back by slow human reaction time — so will the availability of real estate in the city. In this case, self-driving cars have a dual function: to save in the consumption of precious urban space, while making transit more efficient. In his mind, an ideal city would provide that every person move safely from one side to the other in an hour or less. At first, this notion seems absurd, with congested locales like New York City coming to mind. Yet, for leaders in the realm of urban planning, breaking up the conventions and status quo is a crucial endeavor. As a matter of fact, here’s an enlightening thought posed by Bertaud: people moving through a city in an hour or less doesn’t necessitate a limit on the dimensions of cities, if there is no limit to the speed and efficiency of transportation. In fact, he points out that it will actually be megacities formed by the clustering of metropolises, like in the Pearl River Delta (PRD) in China, that will be most productive in years to come. As Forbes magazine recently reported, “Not too long ago, the World Bank declared the PRD is the world’s largest megacity, surpassing Tokyo.” Currently the population estimates range as high as 65 million people. 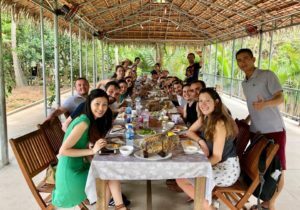 The important PRD serves the greater region of Guangdong Province, which, at 108.5 million people, has a population about a third of that of the US. The megacity functions superbly despite its massive size and complexity, in great part because of a highly efficient network of tunnels and trains. All told, when it comes to cities, bigger is indeed better, at least when mobility is optimized. Alain Bertaud is an urbanist and, since 2012, a Senior Research Scholar at the NYU Marron Institute of Urban Management. His recent book on urban planning called Order Without Design: How Markets Shape Cities was published by MIT Press on November 2018. Bertaud held the position of Principal Urban Planner at the World Bank until 1999, before which, he worked as a resident urban planner in a number of cities around the world, including Bangkok, Port Au Prince in Haiti and Sana’a in Yemen. Bertaud’s research aims to bridge the gap between operational urban planning and urban economics.